Since 1951, when the first gite was established by Senator Emile Aubert, French gites have come a long way from their rustic roots. Gite holidays are now popular with holidaymakers from all walks of life. As a result, properties in France with a gite or gites attached are highly sought after by buyers from overseas. 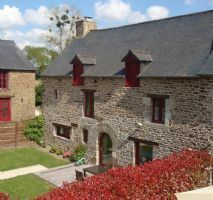 A gite can provide that extra income that makes life comfortable, and France has plenty for sale at surprisingly reasonable prices. 2018 is a good time to buy in France, as prices are realistically set and many properties are being reduced in price to encourage new buyers. Owning a French property with gites attached really doesn't have to be expensive. So without huge investment you can enjoy a very useful income from your property. The general rule of thumb when looking for your French property with gites is to choose somewhere that you would like to go on holiday. A place which is surrounded by beautiful countryside is always a winner. Other features that make gites successful include locations with ease of access to the sea, and within a short drive of airports that offer budget airline flights from the UK (The Best Property Near Ryanair Airports in France). Running gites can be a competitive business, so you need to make sure your gites offer holidaymakers everything they are looking for. The personal touch is important, and it's good to be on hand to offer friendly assistance to your guests. That's why we've chosen properties with gites close to the main residence, in keeping with the traditional idea of a gite being a small lodging in the grounds of a farmhouse. The letting window can also be quite short, just six to ten weeks of summer in most areas (Letting property in France). So offering extra attractions to keep bookings coming in outside the main season is another factor. Gites in France - should you buy an established business? Whether you decide to renovate a property to create new gites or to buy an existing gite business, we've taken the hard work out of finding the right property, with our selection here of ten of the best. Have a look through and find your French property with gites in 2018. 4 bedrooms, shower room, large living room / dining room with wood burning stove, traditional kitchen. Terrace and barbecue area leading to the garden giving access to the river. Separate gite fully renovated, sold furnished. Large garage, parking space, and a large basement area. 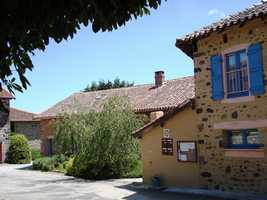 Situated in a pretty village with bar/restaurant, about 12km from the popular town of Limoux, with all shops, services and leisure attractions. 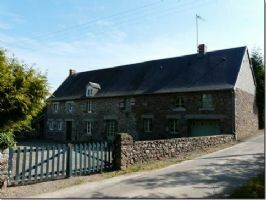 Set in the countyside, in a small hamlet, renovated three bedroom stone longere and 2 bedroom gîte with garden and well. 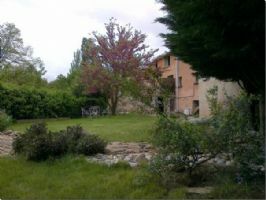 A charming and comfortable traditional stone cottage with 1504 sq.m of private garden. Property is approx 40 minutes from the south coast. Rare opportunity to purchase a semi-commercial activity in Normandy. 2 gites, pancake restaurant, crazy golf course and a botanical garden in panoramic setting. Lots of possibilites here - could be developed alot. Established attraction in La Manche. Could be a main residence with an attached gite. Undeveloped attraction outside peak periods - lots of scope to develop this. Good quality accomodation. 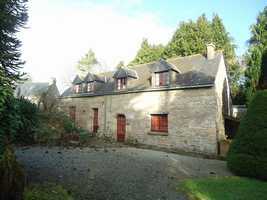 Substantial former watermill for sale with two gites set in grounds of over 2hectares. The main house is substantial and offers lots of scope for development such as conference centre/ B&B/ themed leisure activity for example. 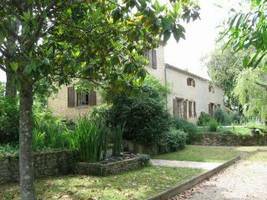 In addition to this there are two gites offering further potential. Five bedrooms in main house plus large dining area, kitchen and lounge. Lots of scope for development. 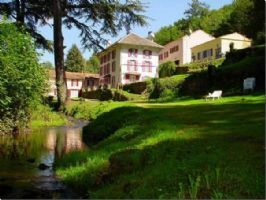 This impressive GITE COMPLEX FOR SALE in Southern France is set in its own private estate of nearly two hectares with a STREAM running through it and private woodland. 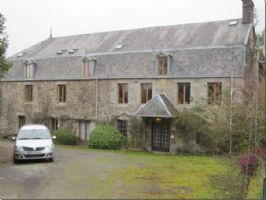 There is a 17th century MILL HOUSE with six bedrooms in total (two currently form a separate apartment) plus a further five gites in another two separate buildings. 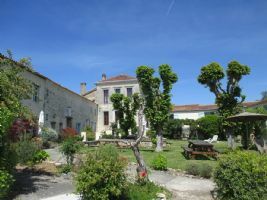 There is a large (15m x 8m) swimming pool with surrounding sun terrace, and various terraces, lawns, gardens, as well as a pretty river and surrounding woodland. .
A unique opportunity to own a holiday estate of character, in the south-west of France. 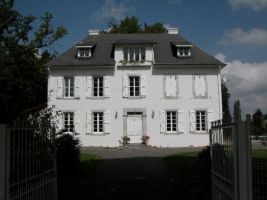 The estate includes 4 gîtes, 5 guest rooms, a heated swimming pool, a large garden and a private residence with balcony. The property is located halfway between the Atlantic coast and the vineyards dedicated to the production of wine and cognac and in the triangle of the cities of Bordeaux, La Rochelle and Cognac. The sale concerns a flourishing holiday accommodation located in a beautiful tourist area.